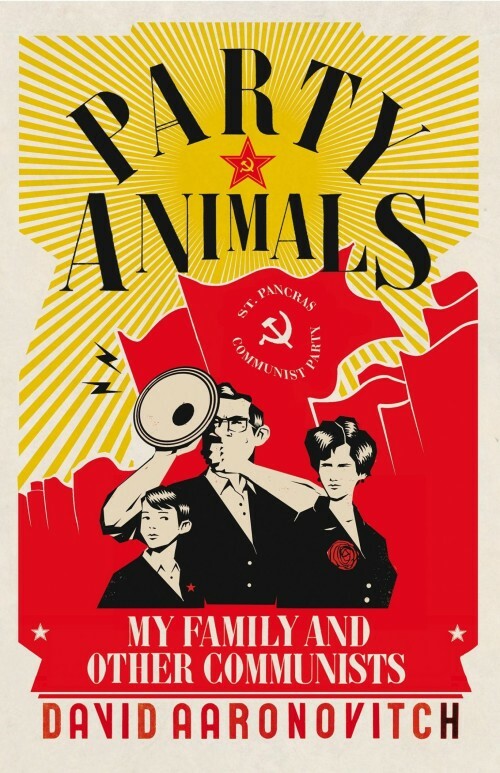 A sepia-tinted picture of life in the Communist Party in post-war London is painted in Party Animals, a memoir by neoconservative journalist David Aaronovitch whose father was a full-time communist organiser and whose non-Jewish mother was equally staunch. Today Aaronovitch is a fashionable neoconservative who backed Britain’s involvement in George W Bush’s wars and now rails against a variety of predictable targets from boycotts of Israel to Vladimir Putin. He flits easily from perch to perch in the establishment media and is currently a feature writer with The Times. Far from it being a world of persecution and adversity, he recalls a jolly and event-filled life with weekend schools, protest marches, meetings and concerts. Communist circles ranged from the entertainment world to the bohemian circles of Bloomsbury and Chelsea. There were lots of opportunities for travel, especially behind the Iron Curtain. Life was good. The family social circle included aristocratic members of the House of Lords, fellow-travelling Labour MPs, and figures from the entertainment world such as the singer Paul Robeson, Ewan MacColl, and novelist Doris Lessing. It seems to have been an enjoyable social whirlwind where they never seem to have wanted for anything. There was always a tight network to fall back upon and decades before the sixties, they created a sexually free-wheeling atmosphere, where casual infidelity was the norm. The outside world looked on them with amused tolerance as romantic outsiders with a misplaced sense of conscience, but there is no indication that they suffered social ostracism or political persecution. Nationalists who cannot even gather in a pub without the windows being broken or having the premises lose its alcohol licence will be amazed how risk-free it was being a communist at a time when the world was waking to the horrors of Stalinism. They reproduced one pattern that is almost an identifying characteristic of Jewish subversive organisations, from the NAACP to the communist parties of Eastern Europe — the non-Jewish figurehead, the public face of the organisation (see here, p. 92). And so it was, almost comically, that an organisation that was overwhelmingly controlled by Jewish intellectuals from the leafy shires was “led” by such as Edinburgh painter John Gollan or London boilermaker Harry Pollitt. The decidedly educated, elite and rather aloof atmosphere probably helped when it came to career networking. The civil service and BBC were nominally barred to Communist Party membership but this was easily circumvented as the case of notorious spy Guy Burgess and many others show. In fact party membership might have been an asset, as David Aaronovitch admits. Before being appointed to a BBC executive position in the 1980s, he was asked by the corporation to drop his formal party membership for fear of the attendant publicity. His father enjoyed the same privileged treatment. After having only ever worked as a full-time communist party organiser for decades, 47-year-old Sam Aaronovitch was admitted to Balliol College (one of the constituent colleges of Oxford University) to do a doctorate in three years! Courtesy of strings pulled by the Marxist historian Christopher Hill, he was able to leap over better qualified but less well-connected candidates to study for a DPhil in economics. 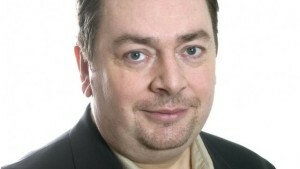 As a result, Aaronovitch senior was eventually able to wangle himself a comfy berth in the academic world as a professor of business studies at a polytechnic. Not bad for a man who left school at 14 without a certificate to his name! The political evolution of David Aaronovitch seems to match that of the revolutionary left in Britain through the last century. His parents were loyal Soviet communists to the end. But he himself was kicked out of Balliol after one term but went on to Manchester University where he was able to leave the ghosts of 1930’s Stalinism behind and throw himself into the new identity politics of anti-racism and feminism. It is while discussing the White opposition to mass immigration that led to the street riots in the 1970s that he betrays his feelings of contempt for the ordinary people of the society that nurtured him. The oppressed masses in abstract he does not mind, but the White working class — supposedly the main beneficiary of communist efforts in Marxist theory — he cannot stand. His political evolution followed the typical neoconservative arc, and he welcomed both the invasion of Afghanistan and Iraq to the outrage of former family friends, but to the benefit of his career. Today, as the voice of neoconservative foreign interventionism he has a guaranteed berth across the establishment media from the Guardian to the BBC and beyond. From communist to neoconservative, with the only constant being a strong Jewish identification and dedication to perceived Jewish interests. While his memoir, written in a style drenched in irony, confronts some toe-curling family secrets, there are some puzzling omissions, including one obvious question: Why are so many communist traitors Jewish? For it is a pattern that is thrown up again and again during his own research. A huge proportion of the communists who turned traitor were the Jewish offspring of equally fanatically left-wing parents. Not everyone was looking at them as harmless eccentrics or failing to notice that communism, Jewishness, and spying seemed synonymous. The lower rank MI5 or police Special Branch gumshoes who carried out the observations certainly noticed the pattern. Unfortunately, as he discovers, MI5 archives told a different story. For 25 years the babysitter’s sister had worked for the GRU (the Red Army intelligence outfit) and had been awarded the Order of the Red Banner. She had been a courier to whom atom bomb spy Klaus Fuchs had passed his secrets to the Russians. Fuchs sat on crucial British American scientific committees, and it was partly because of him and other spies, that the US stopped sharing atomic research with the British in 1946. Fuchs was jailed for 14 years. Despite the suspicions of the security service, both sisters and their brother — all spies — were allowed to escape to East Germany. Another close family friend was also a traitor. James Klugmann had been in British special operations in the Balkans during the war and had played a crucial role in persuading the British to switch their backing from Serbian nationalists to Tito’s communists. Like Aaronovitch he was a full time communist party organiser who lived in Hampstead, and as with Sam Aaronovitch, MI5 surveillance revealed nothing untoward. But that all changed when the Mitrokhin KGB files were published in the nineties. They showed that Klugman was a KGB officer who was instrumental in recruiting the entire Cambridge spy ring while a student at Trinity College. The same applies to another Hampstead neighbour and fellow party member Andrew Rothstein who is recalled affectionately. Somehow Aaronovitch omits to mention Rothstein’s other role. He was also a recruiter for the forerunner of the KGB. For British communists stayed true to the faith throughout some of the most horrific episodes in human history. Untold millions were swallowed up in mass executions, purges, civil wars, artificially induced famines and forced population transfer. There was no secret about any of this, but it was relatively smaller episodes targeting Jews beginning in the late forties that forced a change of mind. And that is when the purges in Czechoslovakia, Hungary and what became known as the Doctor’s Plot began to target Jewish party members. It is here that we get closest to seeing the ethnic contours and can see the party for what it is — an instrument of ethnic warfare which, under Stalin, had turned on its creators. Fat chance of Aaronovitch admitting any of this. There are several memoirs of the British communist party, and, while some bemoan a life wasted in a futile cause, others still cling to the idea that they helped world peace. What none of them seem willing to do is own British communism’s main achievement — and that is because of their efforts, the Soviet Union possessed the atomic bomb within years of the end of World War II.